Science and Logic – Both lead to TRUTH! We believe that truth is Jesus! Power is something you don’t want to mess with. You gotta take power sources seriously! Jesus is the source of EVERY source of power! Are we so different from the disciples in Jesus’ day? One of God’s names in the Bible is “LORD OF HOSTS”, meaning millions upon millions of creatures attend to God. Revelation 19:6 compared 2 Corinthians 6:18 – This is HUGE!! All power that every Kingdom on Earth has ever exercised has been power on loan from Jesus! Are you a “theoretical Christian” and “practical atheist”? Should we be surprised at God’s power? NO! Matthew 21:20-22 – Do you believe Jesus? 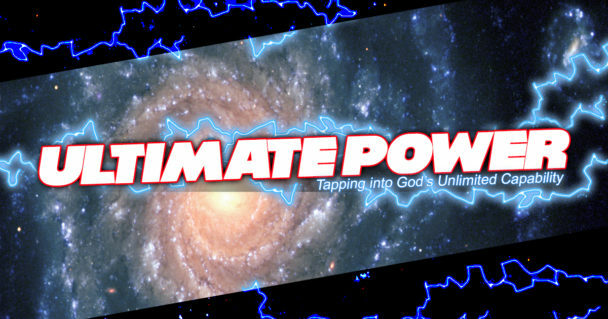 God’s power is OMNIPOTENT and also PERSONAL. Almost all the verses about omnipotence include us. Not only is God omnipotent, but we are his children and He cares to help us. His omnipotent power is available to you, because God WANTS to answer your deepest needs and prayers. God wants to accomplish something great in you, and he has the power to do it. Is God Omnipotent? or not?